It is never too late to teach your little one how to stay organised with the Lenoxx Kids’ Shelf Storage. 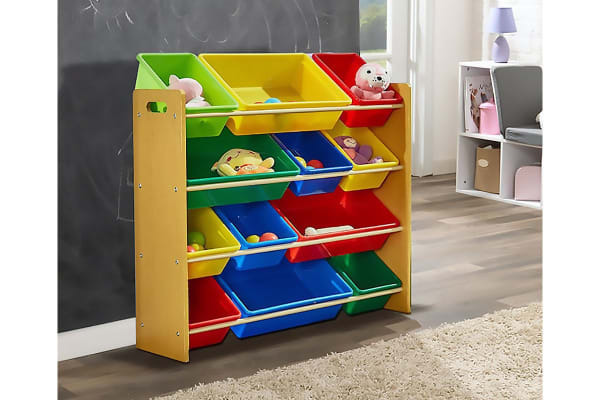 The trendy Lenoxx Kids’ Shelf Storage contains four shelving tiers to stash their belongings, in a vibrant array of red, yellow, green and blue storage bins that make post playtime fun too. 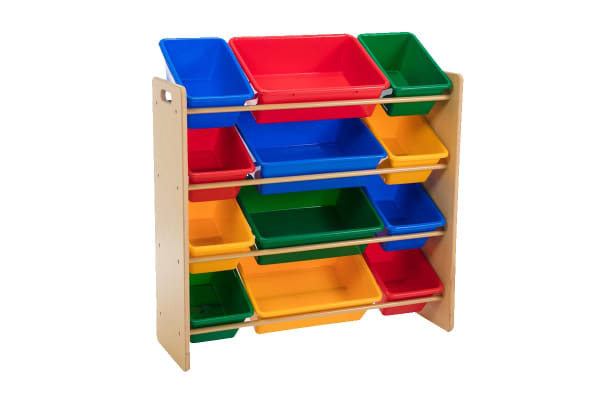 The multi-coloured bins are perfect for categorising and grouping alike contents. Its durable wooden stand is built to last. 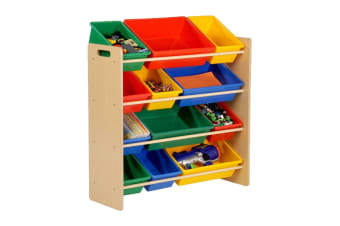 The storage bins can be arranged, removed and restacked in any order that your child desires. Parents can define the play area and establish clean-up rules, all while reducing stress and clutter in the house.